Get still enough to witness what is really going on within you. Connect with the messages of your deeper, more authentic self and discern between your truth and the conditioning you are so often immersed in. See yourself & Know yourself. Take the inspired action that comes directly from the wisdom of listening to your heart. Continuously take steps to move along the path of your authentic self. Live your truth. Open up to letting more of life in and letting more of who you really are out. Embody and expand your range of emotional, energetic and relational expression. Let life in and be seen in your fullness. Dare to be vulnerable and communicate what is real for you to others in a way that lands. See and feel others beyond the stories that everyone creates about ourselves and others. Connect from your heart. What makes Heart IQ™ so powerful is its simplicity. In essence, the answers to these questions, if answered openly and honestly, can take anyone from a place of not feeling good in life to a place that instantly feels better. The Heart IQ™ Method does not focus on finding issues and ‘stuff’, but rather puts the attention on finding your heart’s true joy in the moment. 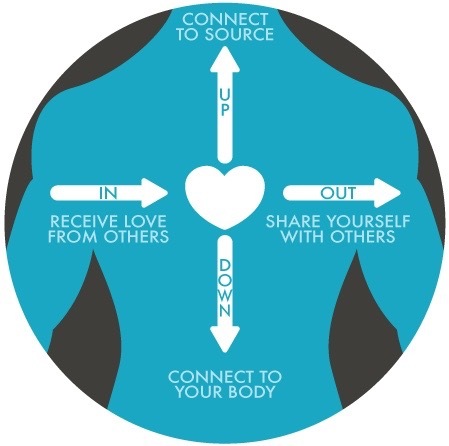 Doing this work in small groups allows the individuals in the circle to benefit from the powerful amplifying effects of the Heart IQ™ Amplified Field. In an amplified field, as you can guess, whatever you pay attention to gets magnified. This is the power that your focused love and attention wields.